Hi everyone, have you seen the stencils available at from RebeccaBaer.com? I recently received this amazing Urban Jungle Stencil (Small | ST-614) and couldn't wait to work with it. I love the fun design and the many different ways you can use it. 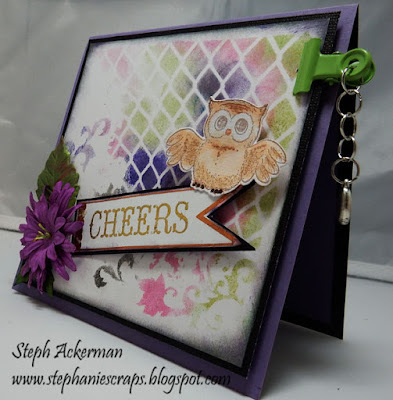 Using white cardstock and art daubers, I added assorted colors of ColorBox inks. 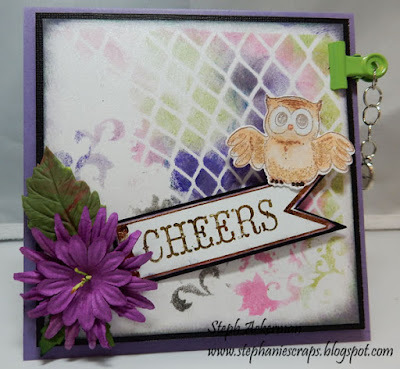 These inks blend wonderfully and look amazing together so I used 4 different colors from the Gypsy 6 color inkpad. I also inked around the edges with two colors before matting the piece on black cardstock. A purple card was perfect to showcase the stenciled piece. I added flowers to the left edge and placed a Makin's Clay leaf behind the flowers. The clay element added just the right touch of dimension. 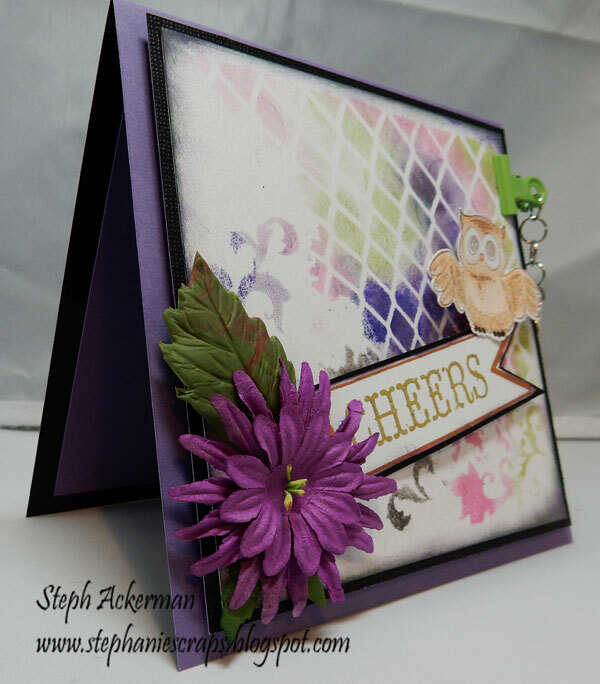 Cheers was added amongst the flowers and an owl was seated on top. The panel was then added to the card with foam adhesives for dimension. Add just because, I added a green clip to the side of the card and hung a charm.